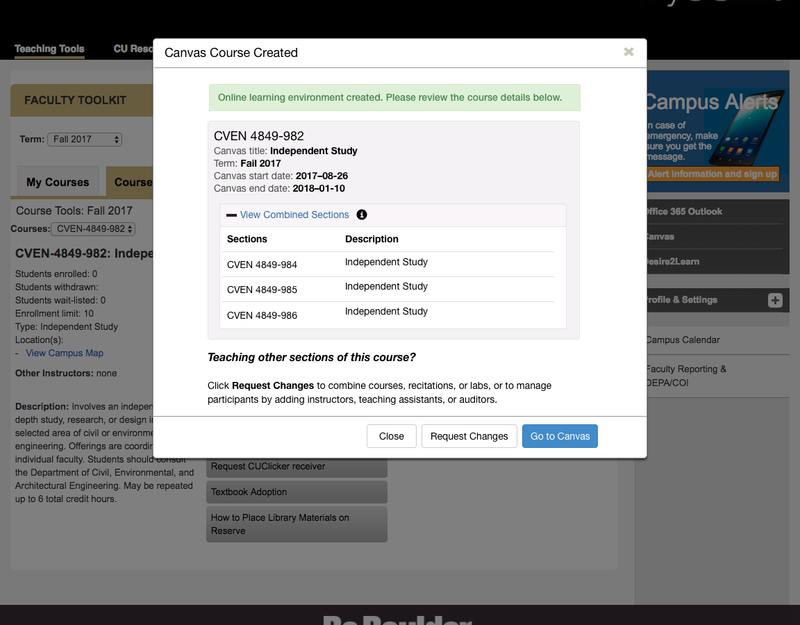 This tutorial shows the process for creating a Canvas Course from your MyCUInfo Dashboard. Note: This process is not supported in Internet Explorer 11. Log in to MyCUInfo and go to the course you would like to create a course for in Canvas. 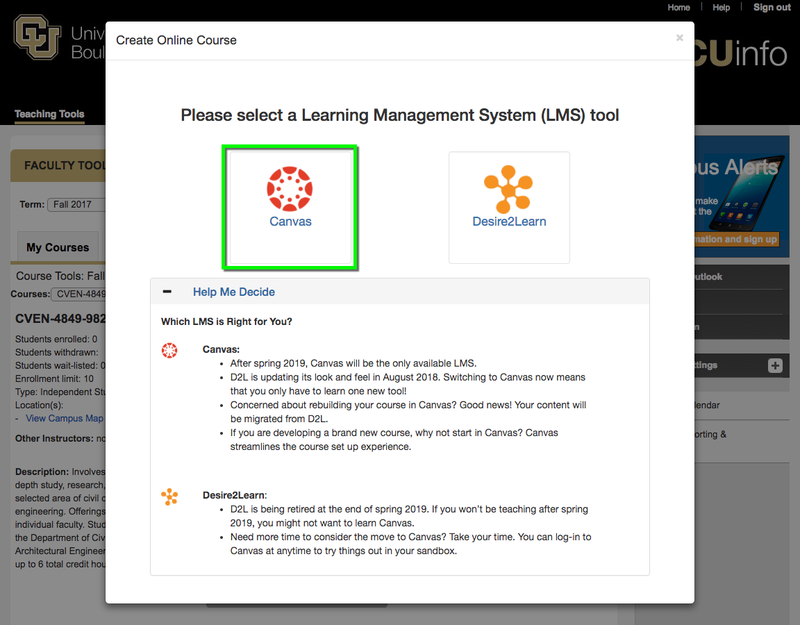 From the Course Specific Tools, select Create Online Course (Canvas/D2L). 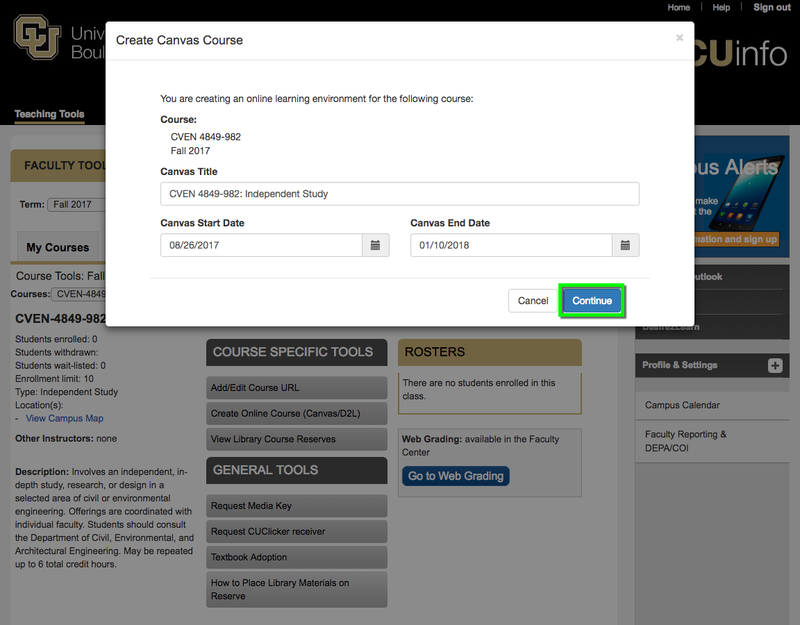 Note: Due to a MyCUInfo Known Issue, you may need to clear your cache in order to see Canvas course create options. In the Create Online Course window, select Canvas from the LMS tool options. 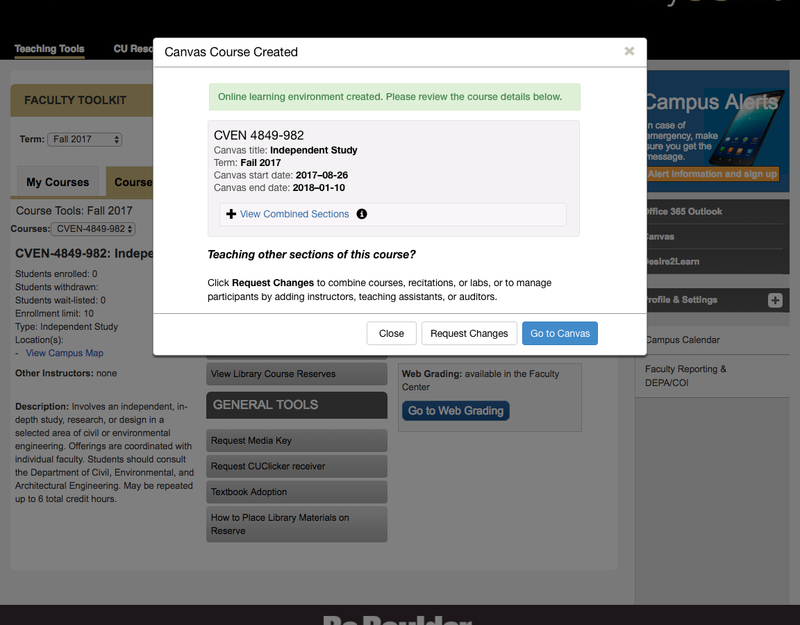 Your course information should be displayed. Make any needed changes to the course title and dates, then click Continue. *Note: Be sure to set your course start and end date to reflect the dates you wish for students to access to the course. While the course is being created, you will see this in-process window. This will automatically close once the course is created. *Note: You can request changes to a course at any time after creation during the current term. Use the Canvas - Request Course Changes tutorial to learn how. If your course has multiple sections, they will be automatically combined during the create course process. Click the View combined sections link to view all sections included in this course. *Note: The View combined sections link is not shown for single section (basic) courses.